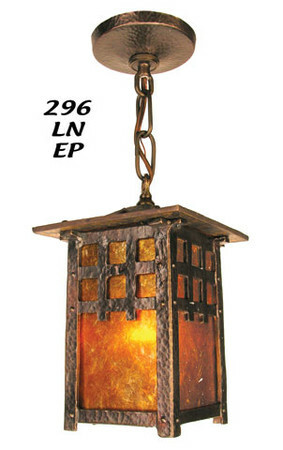 Inspired by the classic hammered style of pure Arts & Crafts, this fixture is heavily cast, not inexpensive sheet metal. The shades are real mica panes. 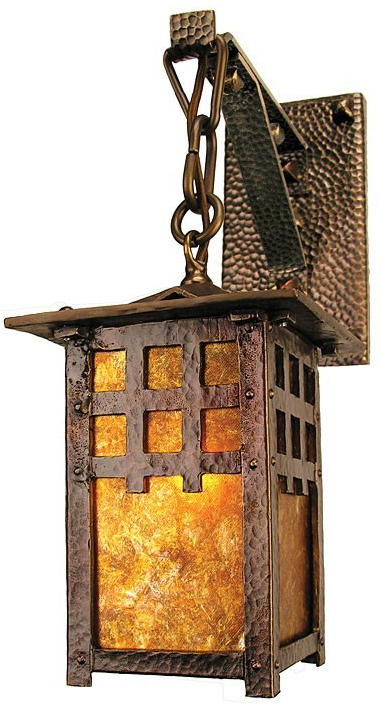 Not just an "Arts & Crafts Style" fixture, but each one a hand-finished true work of art. Backplate Footprint: 7 ¾" tall x 4 ¼" wide x ¾" deep. Projection: 8 ⅞" from the wall into the room. Overall Height: 14" (as shown). Sides: 8" tall x 4" wide on each mica face. 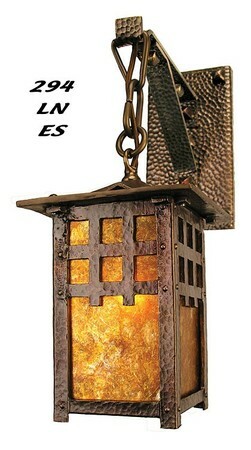 Top of the lantern measures 5 ⅝" square. 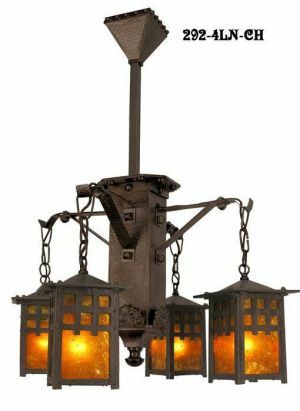 Look for our matching four light chandelier pictured here also. Online orders will show a default shipping fee, and you will be invoiced for actual freight. If our standard 10% shipping & insurance rate does not cover the shipping cost of your order, you will be contacted.